7 heads and 10 horns! Indeed, the double suns create more than the 4, 6, or 8 flares, lines crossing through the center of the Sun, here they produce 10! Where the Sun is symetrical, spherical, it produces 4, 6, or 8 flares through its center. 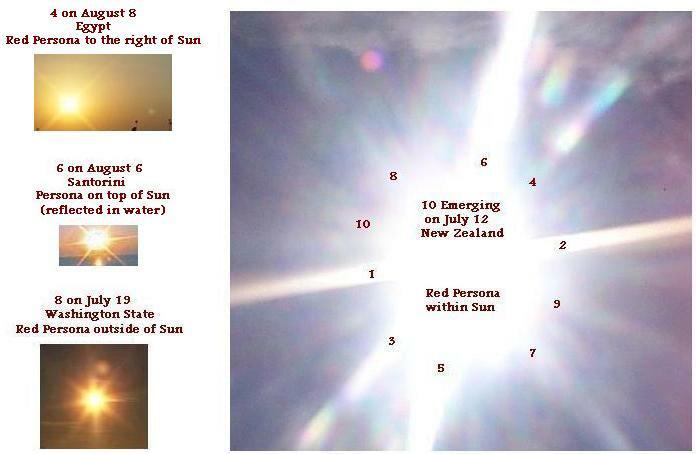 Where lopsided due to the occulting Planet X, it can product 10!